This is a sponsored post written by me on behalf of Giant Food Stores. All opinions are 100% mine. 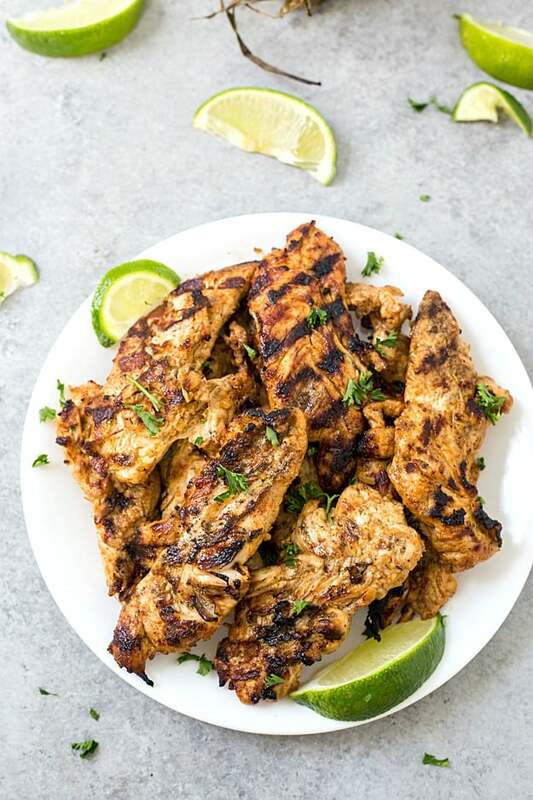 5-Ingredient Tex-Mex Chicken Marinade – The absolutely best chicken marinade with only 5 ingredients! This marinade produces so much flavor and keeps the chicken incredibly moist. Perfect for salads, sandwiches, you name it! Our family tends to eat a lot of chicken because it’s so versatile and goes with everything. I thought it would be the perfect time to share one of my favorite chicken marinades with you! This one is great for chicken breasts, chicken tenderloins, and even chicken thighs. We love it on top of salads, for chicken sandwiches, or even as an entree with a side. This chicken marinade is fantastic! Most meats tend to get better the longer you marinate them, and this one is an exception. I have always recommended marinating any meat for at least 3 hours with overnight being best, but this one was perfect after an hour. I do suggest marinating your chicken overnight if you are using chicken thighs or even chicken breasts because they are thicker than tenderloins. 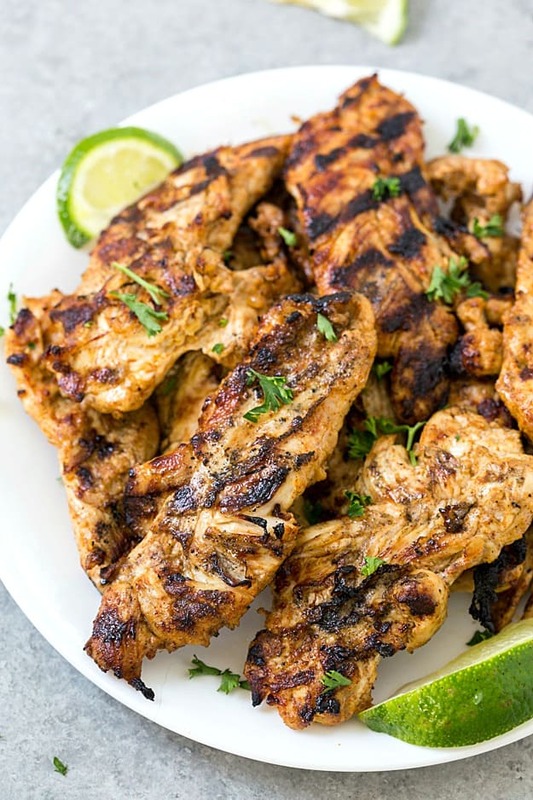 The second ingredient is lime juice because the acid tenderizes the meat and adds another tex-mex flavor to the marinade. So the third element is taco seasoning. I know some are going to disagree and say taco seasoning is more than one ingredient, but I only count it as one. The taco seasoning is where the flavor of the chicken marinade comes. You can use store-bought or homemade taco seasoning – better are great options. The fourth ingredient is onion powder because it rounds the spices out, in my opinion. Every taco seasoning either store-bought or homemade contains onion powder already, but I like to add a little extra. Once you taste it, you will know why. And the last ingredient is of course chicken. Can’t forget the chicken in a chicken marinade! The fourth ingredient is onion powder because it rounds the spices out, in my opinion. Every taco seasoning either store-bought or homemade contains onion powder already, but I like to add a little extra. Once you taste it, you will know why. And the last ingredient is of course chicken. Can’t forget the chicken in a chicken marinade! Now that we have our basics covered let’s chat about the chicken. I try to serve my family the best quality of meat we can afford, and I have to say, we are in love with Nature’s Promise from Giant Foods. It’s affordable, organic, and free from artificial colors, artificial flavors, and artificial preservatives. We always choose Nature’s Promise products because I feel great serving it to my family. If you have walked into your local Giant, you will notice how many Nature’s Promise products there are! 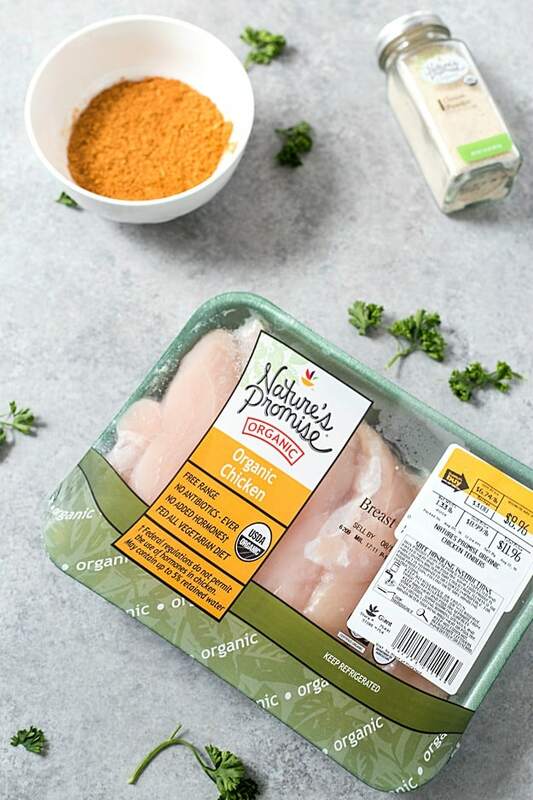 I can usually find a Nature’s Promise product for any item and love making them a part of our next meal! Load Offers for Nature’s Promise Products To Your Giant Card Here. Using mobile? Click here to load offers. 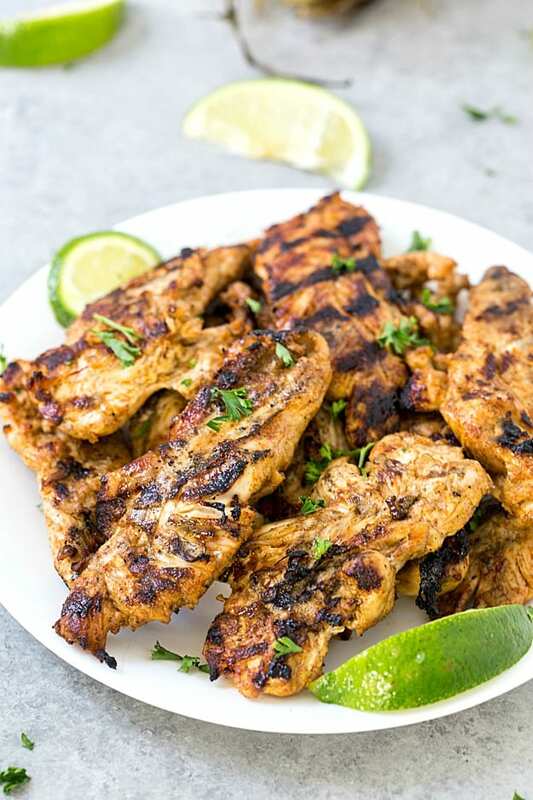 5-Ingredient Tex-Mex Chicken Marinade - The absolutely best chicken marinade with only 5 ingredients! This marinade produces so much flavor and keeps the chicken incredibly moist. Perfect for salads, sandwiches, you name it! Place the chicken tenderloins in a large ziplock bag. Set aside. Whisk together the oil, lime juice, taco seasoning, and onion powder together and pour the mixture into the ziplock bag. Marinate for at least 1 hour, overnight being best. Cook the chicken on the grill, stove, or even in the oven until cooked through or an internal temperature reaches 165 degrees F.